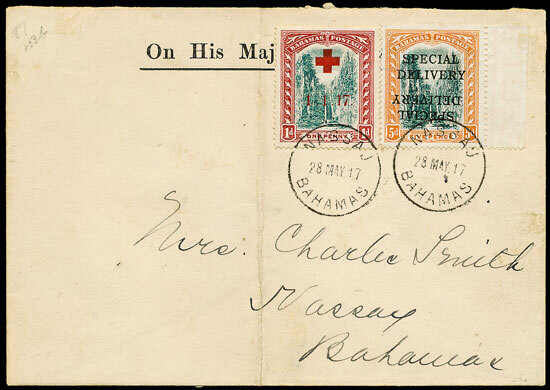 Rainy Britain was far from the minds of bidders at the September stamp auction, many preferring the balmy climate of the West Indies when a series of Bahamas collections and items in 80 lots came under the hammer. 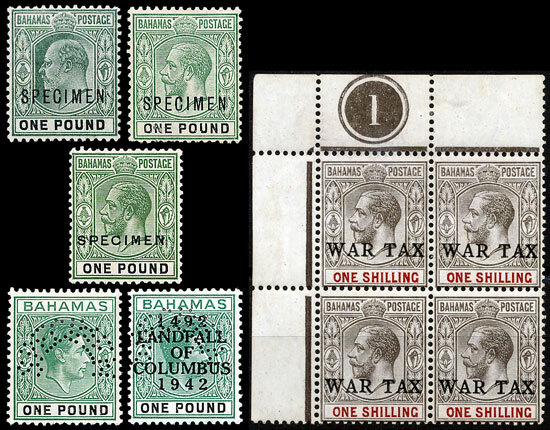 Excellent prices were achieved for the larger collections, such as a Queen Victoria to King George VI collection of Specimens overprints & perfins, which sold for £1,830 (all realisations include premium of 18%) against estimate of £800. 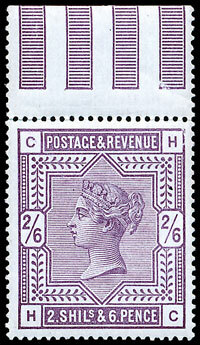 Many of the single items also attracted good prices, reflecting the rarity of the material, a 1918 1/- in a marginal plate UM block of 4, estimated at £150 sold for £318. This Special Delivery 5d with inverted overprint and ‘double tree trunk’ variety, suspected to one of only 2 examples possible, sold for £950. 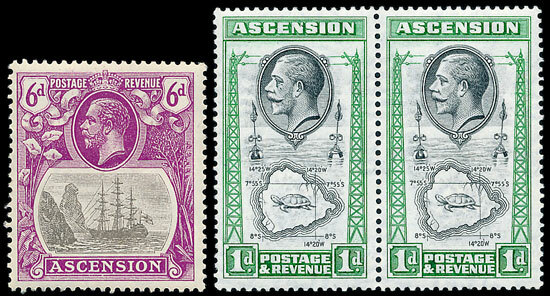 Ascension Ship 6d with ‘cleft rock’ sold for £295 (estimate £200) & 1d with ‘teardrop’ flaw sold for £112 (estimate £95). Falkland Islands 1933 £1 UM sold for £1,530 (estimate £1,000). 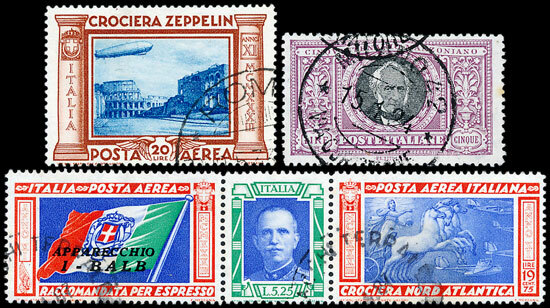 There were many bright spots in the Foreign Section too, an exceptional Italian used collection with many of the better items expertised, and estimated at £1,700, was eventually sold for £3,190. 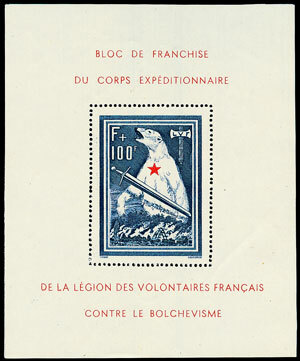 A very fresh French Volunteer Legion mini sheet sold for £248. Possibly the luckiest buyer of the day was the sole bidder for a China used collection, including many of the more sought after items and estimated at £500, who snapped it up at reserve. 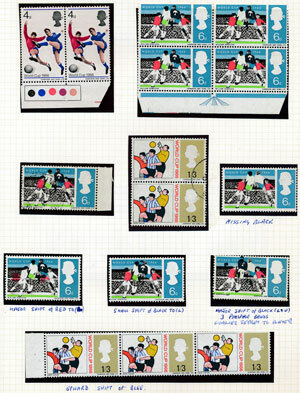 The auction boasted a superb Great Britain section with almost all of the lots selling. 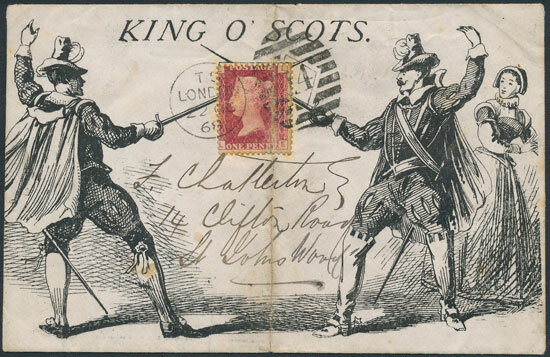 This delightful and rare 1868 King O’ Scots illustrated envelope sold for £142 despite faults. 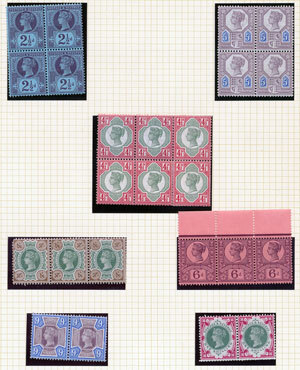 QE pre-decimal stamps have attracted increasing interest recently and a wide ranging collection with colour shifts, varieties, etc, estimated at £100 was bid up to £390. 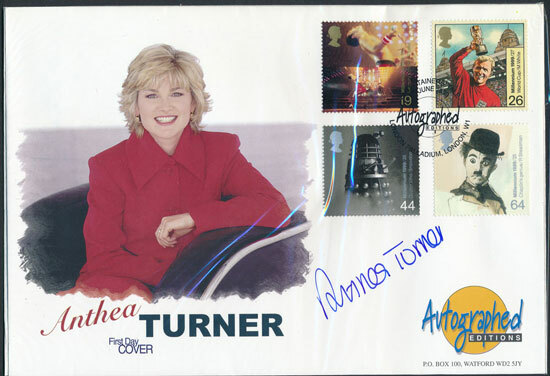 Signed covers attracted much interest with a number of collections selling well above estimate.